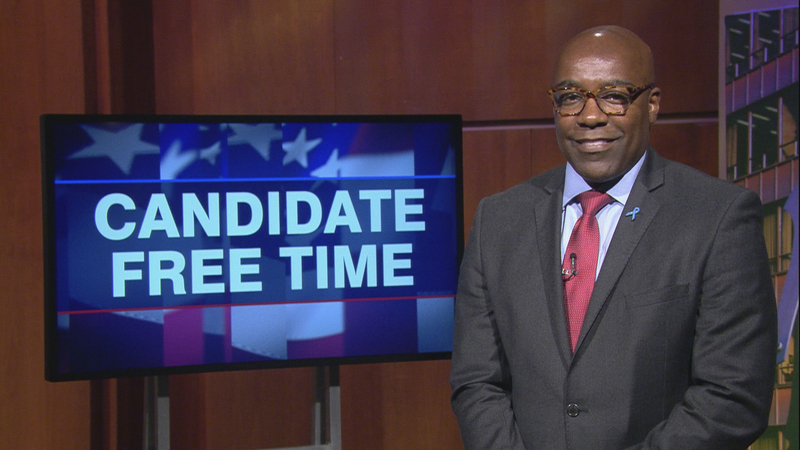 Video: Kwame Raoul tells voters about his platform. Learn more about Candidate Free Time. The attorney general is not only the state’s top lawyer, but its advocate-in-chief. I will build on my lifelong record of advocacy – as a prosecutor and later as an elected official – to stand up for Illinois families as attorney general. I will continue to fight for access to healthcare; a woman’s right to choose; workers’ rights; the rights of crime victims, including survivors of sexual assault; the environment and criminal justice reform. I will use the resources of this office to crack down on child predators and keep Illinois’ children safe, both online and on the block. Wherever the rights of Illinoisans are under threat, I will take action as attorney general to protect the people of this state. The role of state attorney general is more important now than at any time in our nation’s history. In numerous ways that directly affect Illinoisans, the Trump administration has either declined to defend our legal protections or actively attacked them. At every point where the federal government has stepped back and left ordinary people vulnerable, state attorneys general throughout the country have stepped up and taken action. I am willing and ready to serve on the front lines against these threats, working on my own and with my counterparts in other states to challenge the administration in court. My professional experience as a prosecutor and policymaker and my personal experience as a father and a cancer survivor have prepared me to defend healthcare, workers’ rights, civil rights, choice, environmental standards, consumer protections and all our Illinois values that are currently at risk. My name is Kwame Raoul, and I’m running for attorney general. I’m the son of immigrants, I’m a father, and I’m a cancer survivor. My father came here from Haiti and became a community physician on the South Side of Chicago. He never turned away a patient who was unable to pay. He taught me that healthcare isn’t a privilege; it’s a human right. When I became a father myself, I worried about my children’s safety. I’m prepared to fight for all our kids, because what affects my children affects yours, too. As attorney general, I’ll crack down on sexual predators who target children, and make sure victims get the support they need. Gun violence is more than a headline to me; it occurs in my neighborhood. I’ll work for safer communities for all our children. My daughter deserves to be able to make informed choices about her healthcare, and that’s under attack today. Moreover, the Trump administration is repealing protections for victims of sexual assault on college campuses. That’s unconscionable. This administration is rolling back our voting rights, environmental protections and the right of workers to bargain collectively. The president is using every means at his disposal to kill the Affordable Care Act, making it harder for people with preexisting conditions to get health coverage. I take that threat very personally. Three years ago, I was diagnosed with prostate cancer. I’m a survivor today because my health insurance allowed for early detection and prompt treatment. Everyone deserves the same chance I had, and that’s why I’ll always fight for your healthcare when it is threatened. State attorneys general are on the front lines today, going to court to stop these attacks. I don’t think there’s been a time in America’s history when this position has been more important. My record is clear: I’ve been a fighter all my life, and I’m ready to take on this administration, too. I’m ready to serve and ready to fight for you.